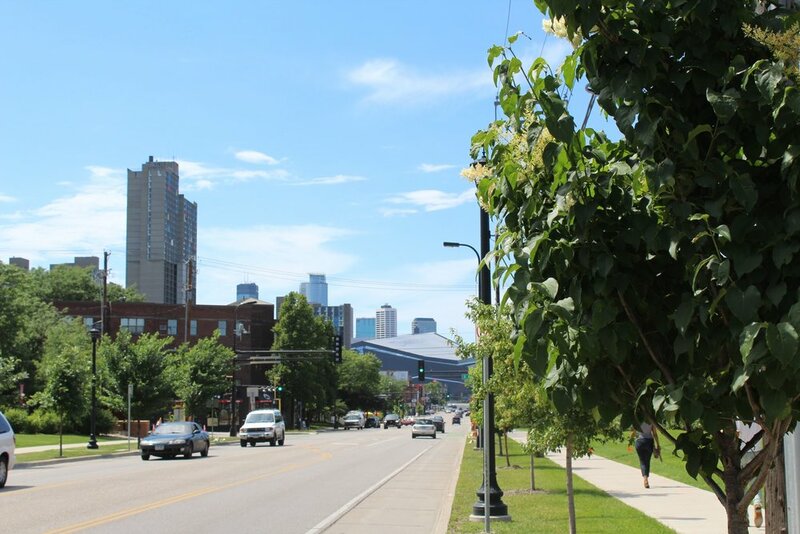 When the City of Minneapolis decided to redesign Riverside Avenue in 2010, the Cedar Riverside Partnership recognized the opportunity for what it was: a once in a lifetime chance to enhance the quality of the streetscape and neighborhood environment. 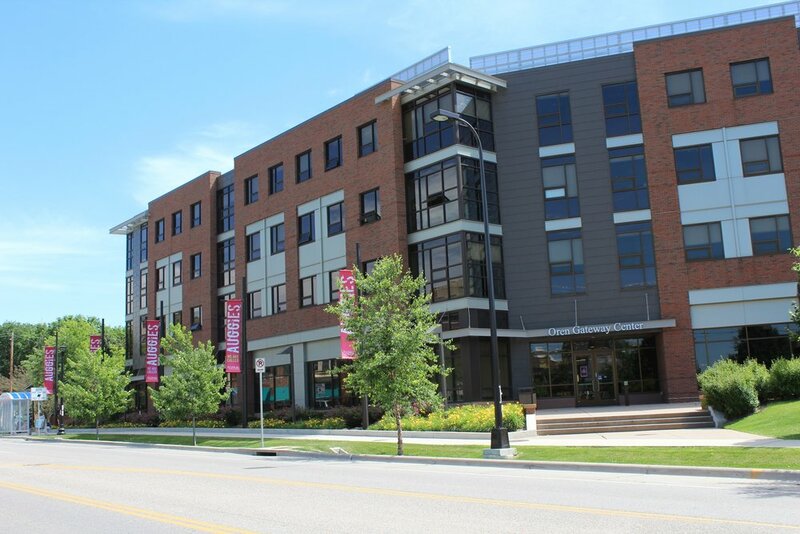 The Partnership had previously identified a shared priority to make Riverside Avenue a signature street through its work to integrate the campus master plans of Augsburg College, Fairview Health Services, and the University of Minnesota. 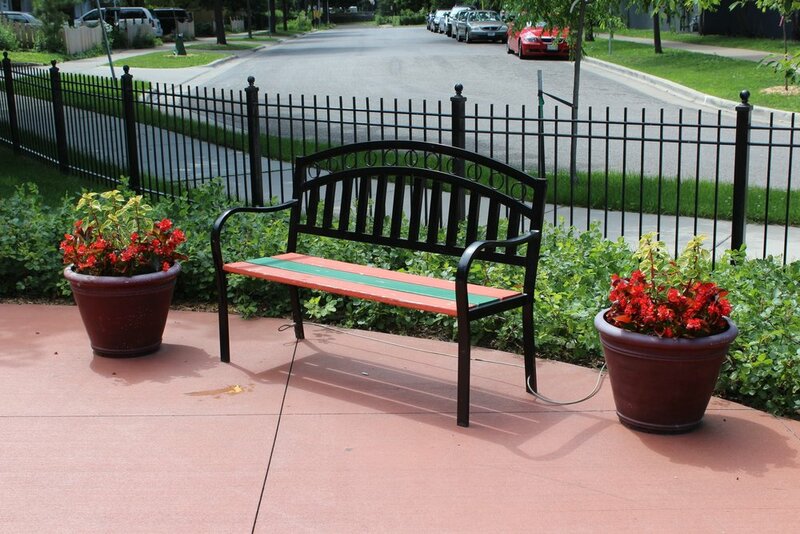 A successful Riverside Avenue project was a top infrastructure priority for the Partnership. After the City released a draft layout for the Riverside Avenue streetscape, Augsburg College, Fairview Health Services, and the University of Minnesota met to discuss common concerns with the layout. These entities respected the City’s effort to adapt the parking configuration to better suit the needs of local business, but were challenged by other issues that arose with the layout. 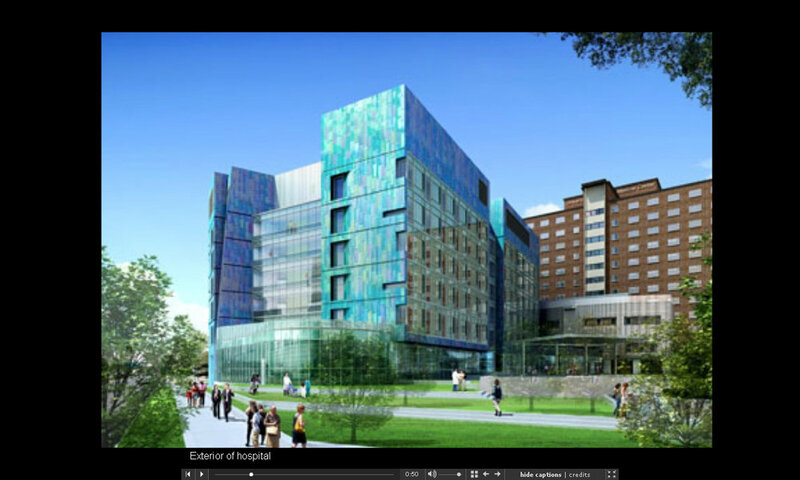 Education partners University of Minnesota and Augsburg College teamed up with Fairview Health Services to urge the City of Minneapolis to keep the project focused on community planning goals identified in the Cedar Riverside Small Area Plan and the Cedar Riverside NRP Action Plan. 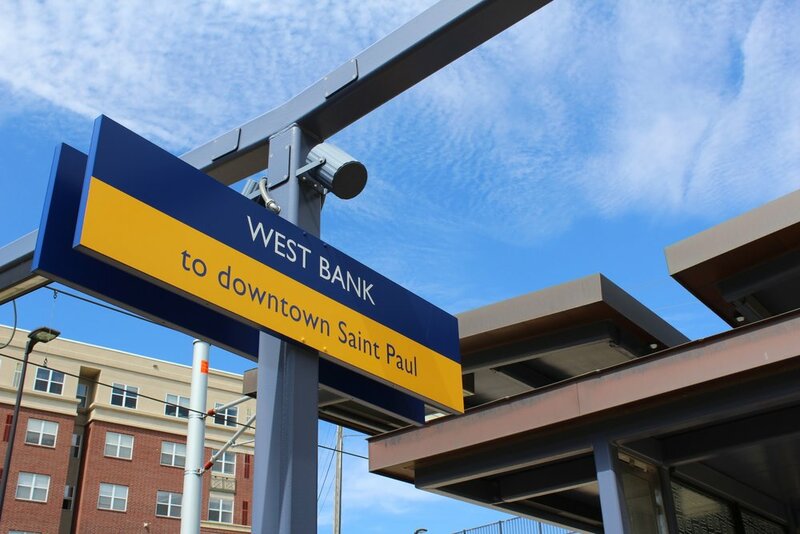 These institutions already identified Riverside Avenue in their master plans as a signature street connecting University of Minnesota, Augsburg, and Fairview to the public and the local community. With the goal of maintaining consistency with the established policy goals of the neighborhood, City, and Partnership, Partners sought to assure that the Riverside Avenue project would result in a streetscape that promotes safe transportation for transit, bicyclists, pedestrians, and automobiles, as well as a more welcoming environment. 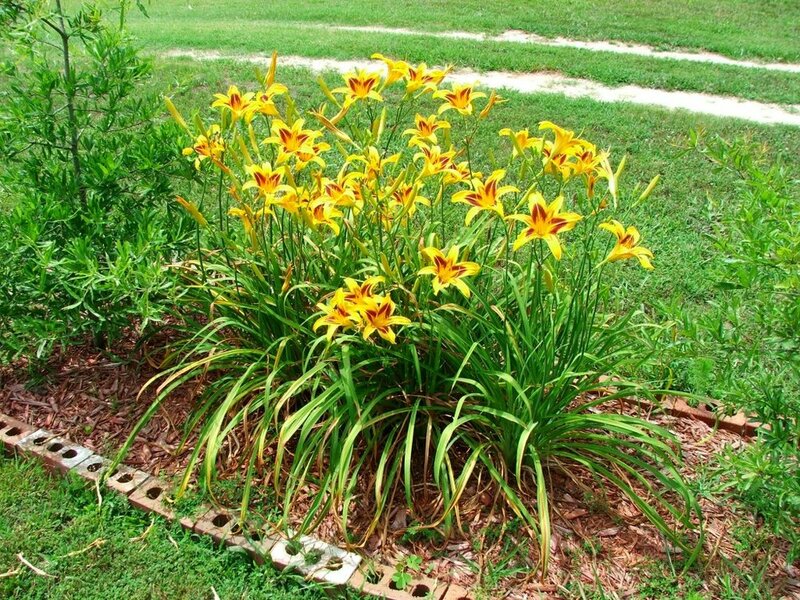 Partner comments included suggestions that the city change the project layout to include a planted medium, wider boulevard and sidewalk space, and fewer on-street parking spaces in areas with low parking utilization. The requests submitted by Partnership partners Augsburg College and Fairview Health services were reviewed by the West Bank Community Coalition and the West Bank Business Association and were met with favorable approval. The Riverside Avenue layout was subsequently reviewed and approved by the Transportation and Public Works Committee meeting of the City Council on November 30, 2010. City staff were directed to continue the southeast-bound bicycle facility for the full length of Riverside Avenue on the block between 9th Street South and Franklin Avenue, and to work with community stakeholders to identify appropriate locations for planted medians and develop a maintenance agreement that will ensure the medians are maintained not at City expense. The Partnership also endorsed the Special Service District project proposal written by a student CHANCE team from the Humphrey institute, and worked with the CHANCE Neighborhood Business Fellows and Carlson Consulting Enterprise to coordinate work on the SSD proposal. The Partnership’s involvement in the reconstruction of Riverside Avenue led to a successful streetscape design project that took into account property access during construction, stormwater treatment, sidewalk width and depth, street trees, a planted median, utilities, and other streetscape amenities. The Partnership worked with City planning staff to develop a timeline for the Partnership to provide feedback during the design process leading up to Riverside Avenue reconstruction, which was completed in 2011. The City of Minneapolis used the Access Minneapolis guidelines when developing the pedestrian space along Riverside Avenue. Most of the pedestrian space in the plans met the “acceptable” range of 12 feet identified for non-local street types in commercial or mixed-use areas by the Access Minneapolis plan. This was significantly more pedestrian space than the narrow sidewalks in existence at the time provided. 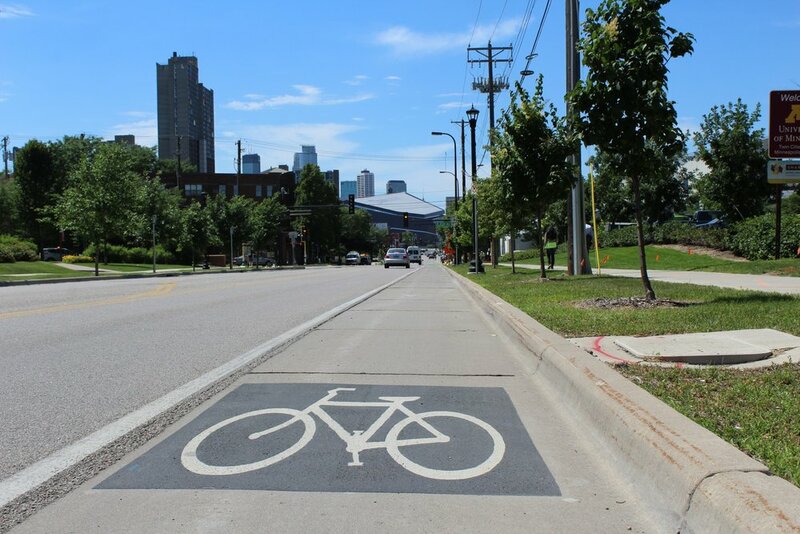 Incorporate continuous 5 foot bicycle lanes along the entire length of Riverside Avenue, with the opportunity to add bike boxes at key intersections. The road is a three lane configuration with one travel lane in each direction and left turn lanes. Right turn lanes exist at Cedar, 19th, and 23rd Avenues. There is parking on the southern side of Riverside Avenue. Parking on the north side was removed. Although parking remains a concern, it was weighed against the many other demands on the space including bicycle lanes, pedestrian space, and turn lanes. Given these trade-offs, the design prioritized these other uses over parking.